Saudi Arabia has been ranked second on the Road Connectivity Index, right after the US, in the World Economic Forum's (WEF) Global Competitiveness Report (GCR) 2018. Also the report indicated that kingdom was now positioned 30th worldwide on the Road Quality Index, advancing four ranks compared to last year. 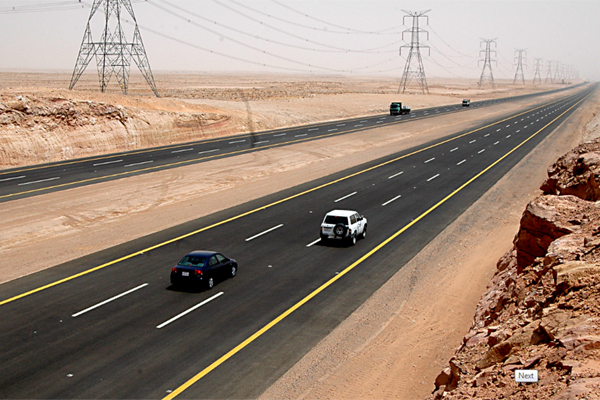 The Saudi Transport Ministry lauded the kingdom's advanced ranking on the Global Competitiveness Report, attributing the achievement to the generous and unlimited support of the country’s leadership, which has resulted in implementing various road projects throughout the Kingdom’s road network of more than 68,000 km. The ministry pointed out that it had completed 55 road projects during the first half of 2018, in addition to fast-tracking delayed projects, a move that has resulted in restructuring and rescheduling 124 delayed projects. In line with its periodic and preventive road maintenance programme, which holds great significance for its plans, the ministry implemented a total of 399 maintenance projects.